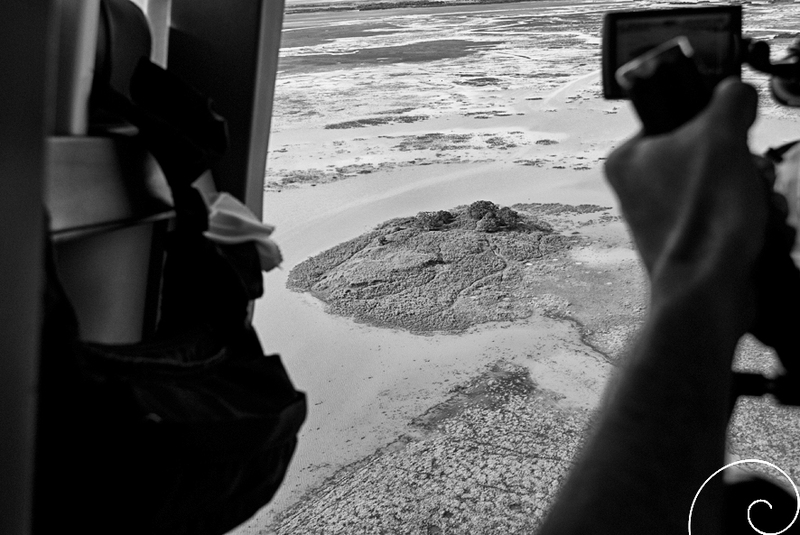 Days after stepping for the first time on Marajó, we flew over the great island. 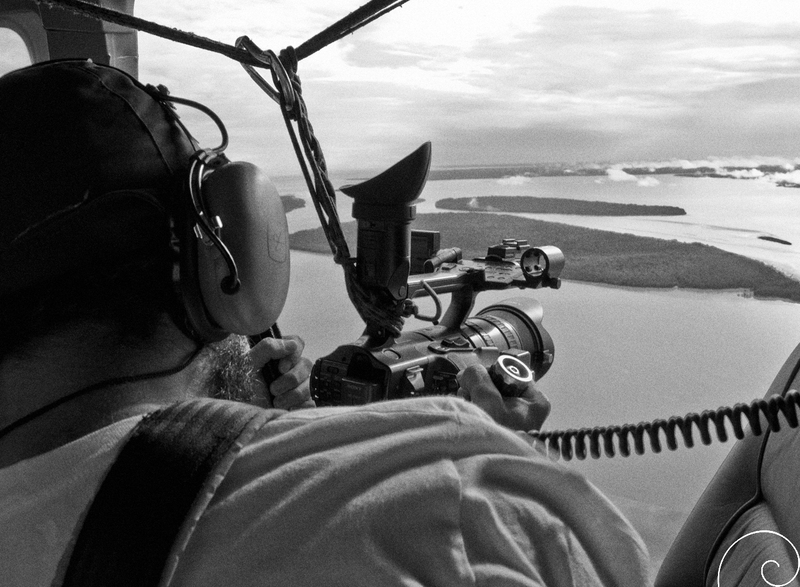 In the image, you can see part of the archipelago, in front of the city of Belém, where we took the flight from. For this type of recording, the lateral door of the aircraft is opened, therefore, the experience is amplified! 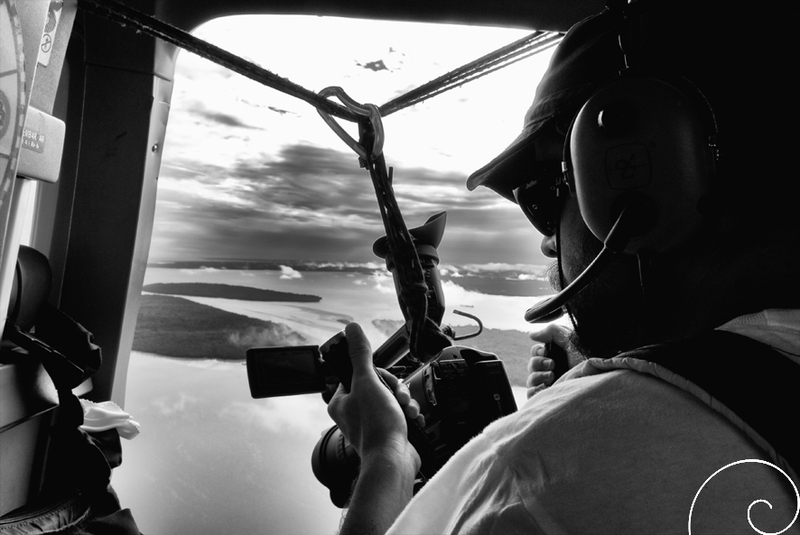 On this day, the recording was different from previous flight recordings that I have made, in urban landscapes: leaving Belém, the helicopter soon left the city and reached the Bay of Marajó, revealing endless waters until we saw the Marajoara territory. 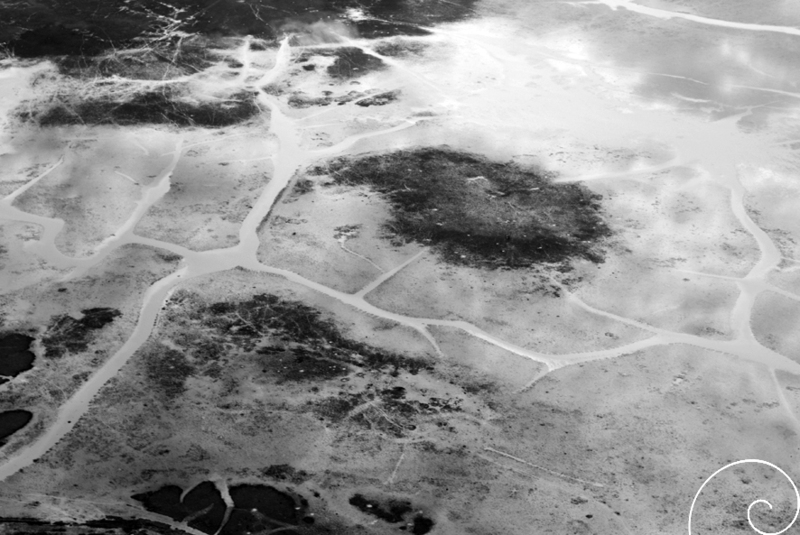 If on the ground, the insular landscape impresses with its vast plains, from above, it opens surprisingly in the “winter” like a giant mosaic of features: the waters that bathe the archipelago penetrate Marajó further and reveal many signs, unnoticed by those who walk on the ground of the great island: paths old and new of people, animal tracks, wells, channels and depressions, everything flooded. On the higher places, we can see the artificial embankments that were inhabited long ago, for example the Teso dos Bichos, the arrival point of this flyby. From the sky, upon seeing this wonderful part of the greatness of the Amazon Delta, a thought comes to my mind: from above, the view of that landscape unfolds in infinite images, until we land next to the objects that make up the time; ancient fragments of past cultures that leave so many traces, many still to (re)discover; physical testimonies that make up this great and powerful humanized landscape, an inseparable part of the Nature and the Being this place. Text: Silvio Luiz Cordeiro. Images: Wagner Souza e Silva.